Sabarimala protest: The News Minute reported protesters attacked reporter Saritha S Balan in Pamba; Republic said "Mob of 100 smash car, attack Republic TV's South India bureau chief Pooja Prasanna"
Armed, masked mobs today targeted women mediapersons who had gone to cover the protests near Kerala's Sabarimala temple. Four media organisations were targeted -- in some cases in presence of the police. Republic TV's Pooja Prasanna was beaten with sticks, Saritha S Balan from The News Minute was kicked on the spine. Midway through live telecast of the events, NDTV was stopped from covering the protests -- reporter Sneha Mary Koshy and cameraperson SP Babu were heckled and asked to leave, their camera was snatched. Personnel from CNN-News 18 and Aaj Tak were also targeted. Over 50 people, including former Travancore Devaswom Board president Prayar Gopalakrishnan, have been taken into custody in Nilakkal and Pamba, reported news agency ANI. The National Women's Commission has taken note of the attack and a meeting is on to decide on further steps. Traditionally closed to women aged between 10 and 50 years, the centuries-old shrine to Ayyappa opens its doors to women this evening following a Supreme Court order. The protests have been on weeks and intensified as the date of opening neared. Since morning, the protesters have been camping out at Nilakkal, the base from where the trek to the hilltop shrine begins. Others are holding fort at Pamba, from where the last stretch of the trek begins. It was at Pamba the NDTV crew was targeted as they tried to film the police taking cover from the protesters under a canopy. Slogan shouting protesters surrounded the reporter and cameraperson and asked them to leave. 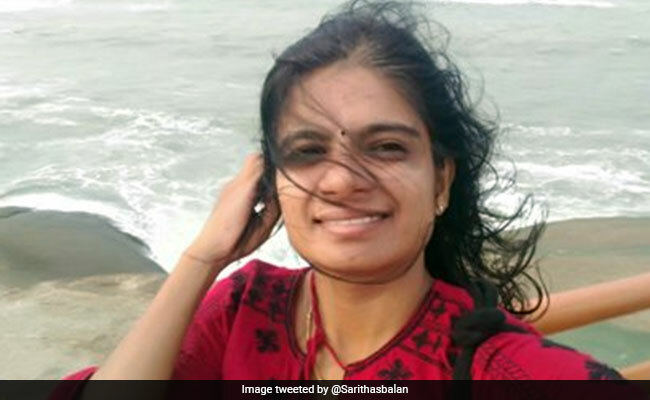 The News Minute reporter Saritha S Balan was also attacked in Pamba. The reporter was on a state transport bus that was carrying devotees to Sabarimala, when a mob of 20 men -- allegedly belonging to Karma Samithi -- surrounded the bus and tried to pull her out. She was verbally abused and physically attacked. One person in the mob had kicked her on the spine, the News Minute reported. "She was kicked from behind as angry devotees took her photograph, called her derogatory names and chanted slogans in the name of Ayyappa. A woman also tried to throw a water bottle at Saritha," The News Minute reported. The News Minute reported that the anti-women Sabarimala protesters had attacked reporter Saritha S Balan in Pamba. In a tweet, Republic said, "Mob of 100 smash car, attack Republic TV's South India bureau chief Pooja Prasanna". The mob of anti-women Sabarimala protesters had snatched batons from the police and attacked the television crew. Ms Prasanna is safe. "Visuals of the attack show the mob surrounding the car, shoving their faces into every window and the windshield, shouting loudly, making intimidatory gestures, and then, slamming the car from all sides," Republic's news report read. 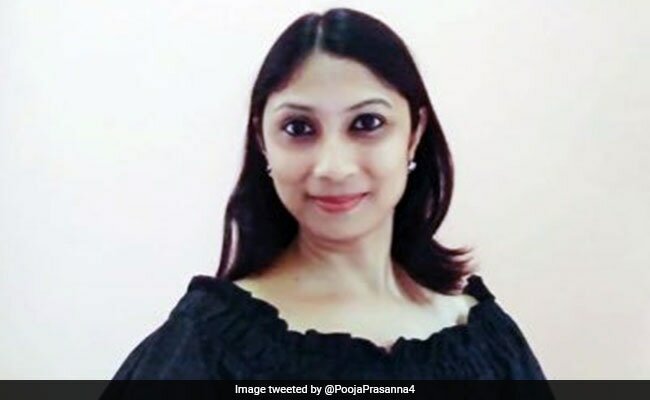 Republic TV tweeted: "Mob of 100 smash car, attack Republic TV's South India bureau chief Pooja Prasanna". While the government of Pinarayi Vijayan is yet to comment on the issue, the Congress's Ramesh Chennithala said, "The Congress is not attacking anybody and definitely attack on journalists is not tolerable. Those who are protesting there, are BJP and RSS people". Last month, the Supreme Court said women of menstruating age -- 10 to 50 years -- must be allowed into the temple, calling the practice of banning them "almost like untouchability". The ban has been practiced for centuries, as devotees consider Lord Ayappa, the presiding deity of the temple, to be celibate. This morning, two women, who were among the first to begin the trek to the hilltop temple, were stopped by protesters on their way. One of the women, who is from Andhra Pradesh, managed to walk only a few hundred metres from the Pamba base camp, 4.6 km from the hilltop temple. The other, a journalist from Kerala, was stopped as soon as her bus reached she reached Pathanamthitta, the bus stop 65 from the temple.